Parents, teachers and other educators can smartly utilize outside resources to construct educational lessons and make mastering math fun for their learners. Even students may enjoy using online resources to tackle tough math concepts and further their education. Here are fifty excellent resources for Pre-K to college level students. Illuminations offers detailed, printable lesson plans complete with activity sheets, materials lists, reflection questions and resources. Each lesson includes links back to NCTM and Common Core standards. The lessons increase in difficulty, ranging from Pre-K to 2nd grade. The Erikson Early Math Collaborative is a high quality professional development tool for Pre-K teachers. The videos explore the importance of teaching math concepts at this level and the methods work the best for early learners. The hands on activities listed on Education.com will keep Pre-K learners engaged with the lessons and moving forward in understanding foundational concepts. The activities explore number recognition, counting, shapes, numerical order, addition and subtraction. Pre-K students can learn basic math concepts in more than a dozen categories on the IXL math skills practice page. The system reads the question aloud and automatically scores the answers given by the students. The math lessons from Jumpstart are ready to use in the classroom. Teachers have a clear objective, supply list and activity instructions to follow for each of the lesson plans. The lessons cover counting, addition, subtraction, number matching and shapes. MathGameTime offers a unique mix of online games, instructional videos and worksheets that explore early math concepts. Pre-K students can sing silly songs and click through fun games to learn how to count to 100, tell time, discern shapes and discover patterns. Turtle Diary provides an enormous collection of worksheets, games and videos designed for young learners. The worksheets feature multiple variations to prevent Pre-K kids from growing bored with the lessons. The TLS Books site features an extensive list of number and pre-math worksheets for children in preschool. Each of the worksheets includes an answer key for teachers to follow. Teachers can use this extensive list of creative math activities to help Pre-K students enjoy and internalize every lesson. Math lessons introduced with these activities includes addition and subtraction, counting, patterns, odds and evens, matching and symmetry. PBS Kids features dozens of rewarding math games for elementary school kids. The browser based games keep kids learning math facts without feeling bored or overwhelmed. The top five high scores are recorded and displayed daily. Kids can learn logic, order of operations, fractions, measurements, patterns, time, probability and geometry in a whole new way with Math Maven’s Mysteries. Each mystery is rated from easy to hard to encourage kids to move through the difficulty levels. The Awesome Library features a compiled list of resources ranging from worksheets and project ideas to lesson plans and games. The resources are organized by grade to allow educators to quickly narrow down the options. Students and teachers can explore topical math lessons and classroom practice problems produced by NRICH. The University of Cambridge created this helpful site as a part of its Millennium Mathematics Project. The UEN Curriculum Support site offers dozens of math lesson ideas for grades K-5. Each plan guides teachers through the lesson using instructional procedures and printable worksheets. The Math Is Fun worksheets allow K-5 students to explore basic and advanced math concepts. The worksheets increase in difficulty to encourage students to take a slow, measured approach to learning foundational skills before moving onto advanced concepts. Homeschool Math splits the worksheets up by grade level to keep kids meeting the learning milestones for this subject. The worksheets are premade so teachers only have to click, download and print to prepare for the next lesson. A full arcade of math games at Fun Brain keeps kids learning mathematics long after the school day is over. The games instantly run in the browser to allow kids to quickly load and play the activities. Themed math activities from ICT Games help kids master difficult concepts without excess stress. The games feature an objective, explanation and help video to keep students learning on their own. 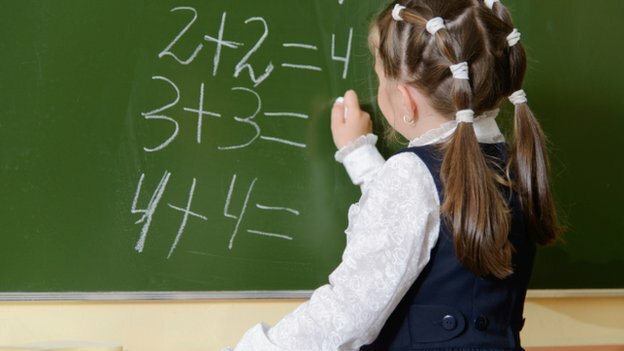 Math Goodies introduces K-5 students to basic and advanced topics using easy-to-follow lessons. Each topic is broken down into several different steps for a low stress approach to the learning process. Flash and Java games for every math concept and age level are provided through the Freudenthal Institute site. Utrecht University hosts this site to give middle school students a head start in math. Early algebra concepts are presented by NCTM through classroom materials, software, internet projects and public forums. This learning resource teaches the value of collaboration while tackling new and difficult math styles. Math Vids hosts 292 basic math and 445 pre-algebra instructional videos created by dozens of qualified educators. The videos are broken down into topic categories to provide middle school students with extra help when needed. The resource list from the SL Directory contains links to quality sites featuring worksheets, lesson plans, videos, games and other important support materials. The short descriptions give educators an idea of the resource type and scope. Math Drills provides over 50,000 worksheets that cover middle school math operations in detail. The printable worksheets teach students about powers of ten, order of operations, money, decimals, fractions and more. Educators can set up their students on Khan Academy to help them master any level of math. The interactive lessons score the answers and give the students points, badges and other rewards for finishing each topic. The video tutorials from Virtual Nerd cover middle school math concepts in amazing detail. Students can click through the topic lists to find and review the topics they need help with the most. Johnnie’s Middle School Math takes a fun approach to learning tough subjects. Students can use the interactive tools to learn about grade appropriate math topics, including statistics, integers, fractions, decimals, probability and geometry. Middle school students can learn how math will benefit their futures with Get The Math Challenges. Professionals present ways math is used in their field and offer a challenge for viewers to solve. Students can learn how to solve difficult problems using their Texas Instruments graphing calculators on this site. Teachers can edit the activities to support their own lesson plans or present the information in a new way. Math Bits offers lessons and activities to help students learn how to successfully approach algebra, geometry and calculus operations. Tutorials, videos and worksheets provide support for students mastering difficult concepts. High school students can approach algebra, geometry, calculus and trigonometry confidently with Math Open Reference on their side. The lessons feature visual aids and clear explanations that streamline the learning process. The Algebra Help resource covers all equation types and concepts for this foundational discipline through step by step lessons. Worksheets and calculators provide additional support for students stuck on a particular problem set. Purple Math breaks down all of the algebra concepts with precise, clear explanations and walkthroughs. The lessons are listed by topic for quick and easy retrieval by students as they attempt to complete their math homework. Math Planet gives students an edge in their pre-algebra, algebra and geometry studies. Students can move on to SAT and ACT test prep questions after mastering the basics. Notes and tutorials on algebra, calculus and trigonometry subjects are available from Paul’s Online Math Notes. Students can use the study support to learn how to approach difficult problems and memorize the required formulas. The Hippo Campus videos cover everything from basic arithmetic and algebra to statistics and calculus. Each short video explores a specific topic in detail to take the frustration out of learning advanced math. With Patrick Just Math Tutorials, high school students can take a new approach to confusing or frustrating lessons. The clear explanations and written formulas, equations and other visual aids keep students learning with ease. High school math lesson plans from Teachnology give students alternative ways to approach the learning process. The lessons feature an important check for understanding step that indicates if the student is ready to move onto the next topic. The Practice Money Skills series features 22 comprehensive lessons on a wide range of financial topics. Students will learn how to stay out of debt, create a savings fund and invest their dollars to turn a tidy profit. High school students and teachers can use the Math Guide lessons to explore pre-algebra, algebra, geometry and college algebra disciplines. Quizzes and worksheet generators are available as a tool to gauge understanding. College students can receive much needed help with understanding trigonometry concepts with Dave’s Short Trig Course. The lessons included in the course teach the basic operations with visual aids, explanations and exercises. Math Is Fun helps students master algebra with their advanced lesson series. The silly, low stress explanations and diagrams give students an alternative way to learn how to solve algebraic equations. Nearly every math discipline is covered by 5,000 lessons and videos on the Math Is Power 4 U site. Each subject is broken down into dozens of individual topics to allow students to easily understand the concepts. Teachers post their lesson plans, worksheets and resources as individual modules in the Open Course Library. The modules frequently include video links, textbook exercises and project ideas for the topic at hand. The Catalog of Mathematics Resources features an all-inclusive list of the top lesson plans, activities, games, software programs, videos and tutorials found across the web. The University of Wisconsin hosts this list to help all students excel in math. The Virtual Math Lab from West Texas A&M University features 59 tutorials covering algebra to probability. Multiple examples and practice problems help students master the lessons and confidently continue to the next topic. College students can use the 2,500 pages of tutorials from S.O.S. Mathematics to learn every concept imaginable in the math world. The subject areas covered on this site include algebra, calculus and trigonometry. Students can visit Bob’s Math Class anytime to learn how to solve math problems involving basic concepts to advanced algebra. Videos, examples and practice exercises allow students to quickly understand the presented material. Basic and advanced math courses are available to college students from MIT Open Courseware. The courses include video and written lectures, assignments and exams to complete on the path to mastery. Wolfram Math World is a helpful resource covering algebra, calculus, geometry, statistics and other math subjects. The tutorials walk students through solving the problems and offer additional resources at the bottom of the page.